at the Tett Centre, with a comprehensive, “interactive” handout and catering by Epicurious (which runs the Juniper Café). Attendance will be limited to 25 people, so watch this space for details about how to sign up. Book Draw—Wade Guyitt, fast becoming a regular visitor, donated his c opy of the first edition of the Oxford Guide to Canadian English Usage for a draw. (He’s now acquired the second edition.) Thanks to Wade for suggesting the idea and donating the book, and congratulations to Angela Pietrobon, one of our speakers, who won it. We’ll consider doing more such draws at future meetings. Webinars —Don’t forget about the Editors Canada webinar series! On April 4 is “How to Evolve Your Writing from Print to Online” and on April 27 “A Linguist’s Guide to Grammar” with Editors Canada institution James Harbeck. When Angela agreed to speak to us about her work as a thesis editor and writing coach, she asked Reena, whose thesis she had edited, to accompany her and give her point of view. Reena spoke first, providing an overview of her thesis edit from her point of view. Angela then followed, describing both the business and editing aspects of her work with academic thesis clients. Reena has been a documentary filmmaker since 1988. A few years ago, she decided to turn her research on migrating brides in India into a PhD thesis. (You can read more about her research in this Globe and Mail article.) Coincidentally, her first job in the film industry was as a film editor. While she had written film scripts in the past, she found the transition to writing her thesis difficult and the writing itself difficult and stressful; she wrote several drafts. When her thesis was ready for editing, her supervisor recommended Angela. Because of the length of her thesis (approximately 465 pages, with 50 pages of references), the tight time frame (two to three weeks), and the fact that she would be in a different time zone (she was leaving for India), Reena wanted someone who could keep to a strict timetable and give clear, constructive feedback. She also wanted to be able to relate to that person because she needed to have her “baby” treated well. She needed to see her copy editor as her ally. She and Angela met for coffee, and this meeting reassured her that Angela was the right person, that they were on the same wavelength. Reena found working with Angela to be “fantastic.” Her feedback was diplomatic; she could appreciate all the work Reena had done; and while she wasn’t familiar with the specific topic, she reassured Reena that the thesis made sense. She also brought valuable experience to the project – for example, she insisted that social science terminology had to be explained and ensured that all statements were backed up with facts from the interviews. Working long hours together at a distance, Reena and Angela met the tight deadline. Angela began by reading through Reena’s thesis in one go, then copy edited it chapter by chapter. She sent each chapter to Reena as she finished it, and Reena reviewed it while Angela worked on the next chapter. She used Word’s Track Changes feature to track every edit and insert queries to Reena. She does more than just fix the grammar, but she also doesn’t go ahead and rewrite anything; she ensures that every edit has a purpose, and when she’s unsure about something, she inserts a query. Reena rejected only three or four of her suggested changes. If the information in a manuscript is sensitive, Angela explained, it’s important that the copy editor keep her own cultural values, bias, and opinions out of the work. Confidentiality is also key in thesis work, even if no official confidentiality agreement has been signed. Angela talked about the types of students and supervisors she’s worked with. Some students don’t know anything about punctuation or formatting. Some don’t know how to write footnotes or even what their purpose is—and sometimes the supervisor doesn’t know this either. She needs to spend time educating these students, and this is where her skills as a writing coach come in. The most problematic kind of thesis for Angela is one that isn’t ready: the student has written a rough draft of the chapters, and the supervisor has told him to “go get it edited”; copy editing this type of thesis could drag on for up to 10 years. The best type of thesis is one for which the supervisor has signed off on all the content; the defence has been scheduled; the thesis is approximately 300 pages long; Angela has two weeks to copy edit; the student is a good writer, is writing in his first language, and understands heading levels and footnotes. The average situation is somewhere in between: the thesis is 250–320 pages long; the defence date is two to six months away; and the supervisor has been moderately helpful. Angela uses a contract with thesis clients adapted from Editors Canada’s Standard Freelance Editorial Agreement (a contract template) and its Guidelines for Ethical Editing of Theses / Dissertations, and she insists on being acknowledged as the copy editor. She generally uses the Chicago Manual of Style. She doesn’t check facts, but queries anything that seems odd. She subcontracts formatting of the file to her husband, Rob (who was also in attendance that evening). Rarely able to provide a firm quote before starting a project given the huge number of factors in a thesis edit, Angela gathers as much information as she can about the project and its status beforehand and gives an estimate. She keeps her client informed; for example, on a 40-hour contract, she’ll let the client know how the copy editing is going after 28 hours. When she started out, Angela went to her local university and put up notices about herself on all the bulletin boards. She ran a business as a writing tutor for 10 years, registering at the university as a tutor and talking to people in all the Graduate Studies programs, and also offered editing services. She noted for those starting out in this area in Kingston that Queen’s Education will take an editor’s information and pass it on. Now well established, Angela takes thesis work only on referral. 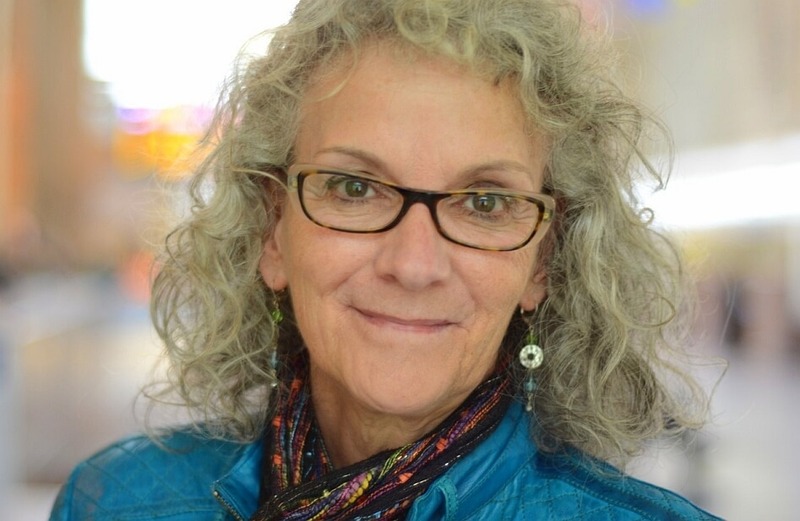 Award-winning Kingston author Diane Schoemperlen, author of 13 books of fiction and non-fiction, will talk about her experiences being edited by publishing houses and working as an editor of short fiction, novels, and memoir.